September | 2011 | Beer Apprentice - Craft Beer News, Reviews, Interviews and Info. 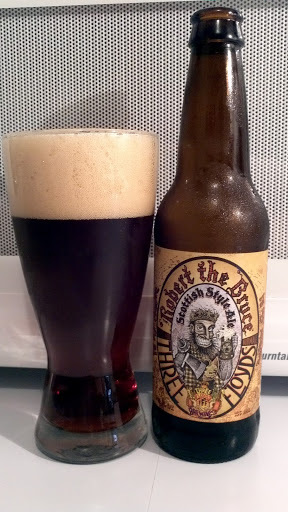 For today’s craft beer review I thought we would take another trip (figuratively of course) to Munster, Indiana to the Three Floyds Brewing Company and try the Three Floyds Robert The Bruce Scottish Style Ale. As I have mentioned many times before, Three Floyds is one of my favorite brewers, so I can’t wait to get this beer in a glass and dig in. Here’s the description from the website, 3floyds.com. This Three Floyds offering has an ABV of 7.0% and comes in a 12 oz. bottle. The appearance, after the pour, was of a very deep ruby to dark copper color with a few burnt orange highlights gleaming at the bottom of the glass. The crown was very smooth, fluffy, creamy and khaki colored. The head was of great size and it had very nice retention time. After it settled it left some nice patchwork all along the sides of the glass. The aroma began with some well accentuated caramel malt juxtaposed with some burnt sugars and toasted breads. Some slight, dark fruity raisins and a touch of chocolate added a notable sweetness. 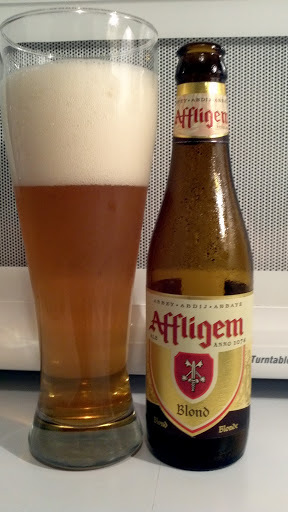 Further aromas of dried tea leaves and “earthy” hops helped create a very “round” and “smooth” nose. This brew smells great in my opinion. The taste brought forth some chocolate tones along with more of the toasted malts and freshly baked breads. Sweeter hints of sugar, toffee and caramel were all noticed, however the dark fruit was quite minimized. I even found the most faint hint of coffee bean. Nearly zero bitterness was discerned and I detected absolutely no alcohol flavor. The mouthfeel was medium, very smooth, soft, slick and dry. The palate was left with only an average amount of flavor, yet with no distinguishable warmth. It seemed very comfortable and fitting. Well this is another great brew from Three Floyds. I have yet to find a beer from them that hasn’t left me wanting another one. The Robert The Bruce is so smooth and easily drinkable. It has plenty of aroma and flavor and I think it matches perfectly with the cooler Fall weather. I’m not normally a big fan of Scottish or Scotch style ales, but this one sure grabbed my attention. I would have no problem setting a few of these back on a lazy, crisp afternoon. If you have not had the chance to try this beer, seek it out and give it a go. I think you will like it. I know I did. As always, thanks for reading and commenting everyone.